Antique military pocket watches are heirlooms that deserve to be kept in pristine condition. While wrist watches were being introduced into the military during the trench battles of WWI, pocket watches were still utilised and considered to be more robust in extreme conditions. Even during WWII the humble pocket watch was still seen as a useful and reliable timepiece. Today military pocket watches are very collectable pieces and some are very rare. Our talented Master Watchmaker offers a military watch repair and restoration service. 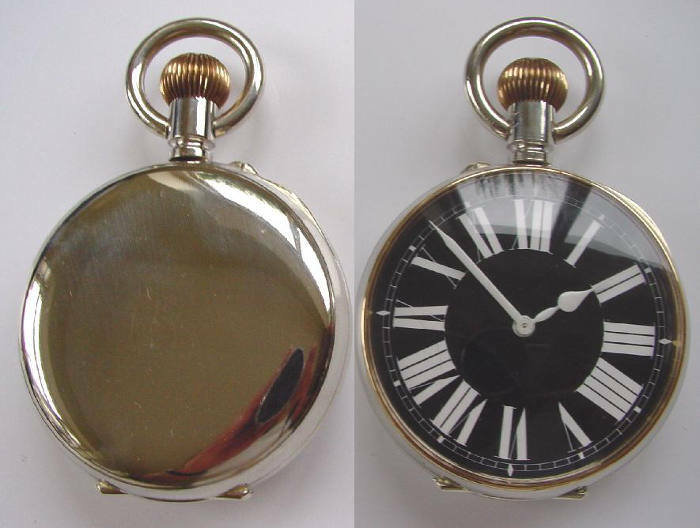 We can carry out any complex restoration work to get your military pocket watch working beautifully once again. It feels great to have a little piece of working history in your pocket, so why not let our talented Watchmaker bring your military pocket watch back to life. There are hundreds of reasons why your military pocket watch won’t run. It may be rusted, miscalibrated, under lubricated, or just suffering from wear and tear. Maybe your pocket watch has suffered a previous bad repair or an intricate part is too worn to function. Whatever the mechanical problem, our Master Watchmaker has the experience and fine skill to accurately diagnose and repair your special timepiece. Whether you have a Hamilton military 24-hour dial pocket watch or a Waltham timepiece, we can revive your pocket watch to its former working glory. Our Master Watchmaker will painstakingly restore any military pocket watch so you can accurately tell the time again and pay respect to its former owner. We have repaired and restored a huge range of military pocket watches, so we are confident we have worked on your pocket watch model at some time or another. We guarantee your military watch is in the safest possible hands throughout its repair and restoration. We have many authentic replacement parts, but we can source authentic parts where necessary and if not possible, our Master Watchmaker is an expert at hand-making parts that are every bit as good as the original. We are a highly competent military pocket watch refurbishment service you can trust. We offer unparalleled expertise and we are dedicated to bringing your little piece of history back to life. Our Master Watchmaker will carry out your vintage military pocket watch repair and restoration with the utmost sensitivity and expertise. We are confident you’ll be delighted with the results, but for peace of mind we offer a minimum 12 month guarantee for all work undertaken. We know you will be delighted with our military pocket watch service. You can ship your timepiece to us from anywhere in the UK using our Royal Mail Special Delivery FREEPOST service. Your military pocket watch is insured for up to £20,000 throughout its postal journey, from the moment the package leaves your hand to when it is posted back to you. Before we commence any antique military pocket watch repair, we’ll discuss any costs with you first. We would love to repair any military pocket watch from around the world. Outside of the UK you will have to organise shipping, other than that you can expect the same exceptional repair service. Feel free to bring your timepiece into our Lewes showroom. We would love to meet you and discuss your pocket watch repair requirements with you. Please do not hesitate to contact us with any queries regarding our pocket watch service, or fill in the FREEPOST Envelope Request Form.